So I know it is officially the first of November (scary) but I wanted to know how everyone’s Halloween went! I hope you are all surviving, enough sleep, not too much candy 😉 We decided to go out this past weekend in full costume, but just chill out on actual Halloween. 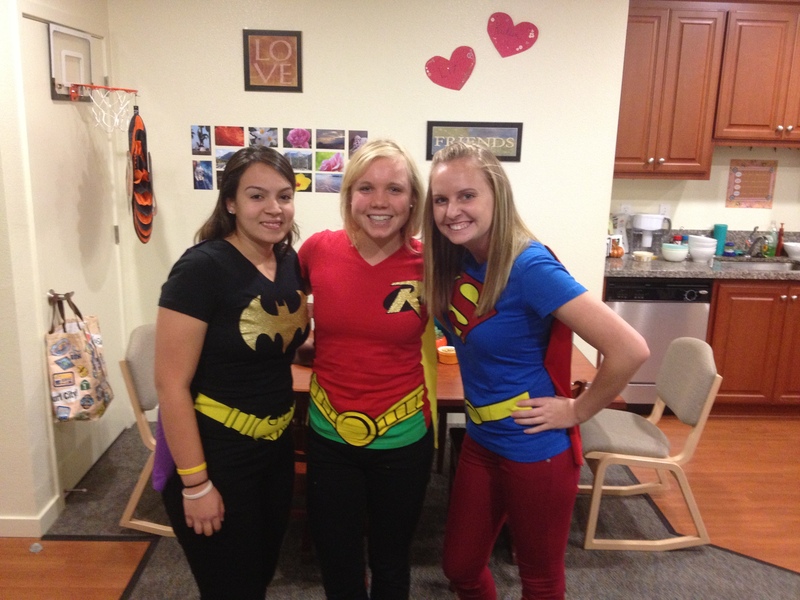 My friends Liz, Kaite, and I all had superhero shirts with full on capes. I was a little nervous because some college students feel themselves above such festivities (basically not dress up) but wore my costume all day and actually received quite a few compliments.